In this passionate and heart-wrenching debut novel by Irish writer Mark Mulholland, we meet Johnny Donnelly - an intense young man who is in love with books, with his country, and with the beautiful Cora Flannery. But in his dark and secret other life he shoots British soldiers: he is an IRA sniper. How can this be? As his two worlds inevitably move towards a dramatic collision, Johnny takes us on a journey through the history, legends, and landscapes of his beloved Ireland. In the end, Johnny has to make sense of his inheritance and his life, and he does so in a riveting, redemptive, and unforgettable climax. Told in Johnny’s unique voice, and peopled by a cast of extraordinary characters, A Mad and Wonderful Thing tells its tale lightly, but pulls a heavy load. It takes us beyond the charming, familiar, and often funny experiences of everyday life to the forces that bind people together, and that set them against each other - and to the profound consequences of the choices that they make. It’s a strange irony that Bernard McGinn died of natural causes just a few months or so back; Mcginn was part of an IRA group of snipers based in South Armagh, Northern Ireland, on the Irish border. Between 1990 and 1997 they terrorised the British army and police, killing seven soldiers and two police. Johnny Donnelly, the central character in Mark Mulholland’s stunning first novel, A Mad and Wonderful Thing, is also a sniper for the IRA. Johnny is smart, charming and attractive – all the young women in his small town are in love with him. When Johnny was six, his Dad made a wrong turn and the family were stopped at a British checkpoint where the soldiers humiliated his father and terrified his family. It was an incident that Johnny didn’t forget, though his anger had little direction until a teacher, Delaney, took a shine to the smart, restless young man. At first Delaney has him helping with small jobs, moving weapons and supplies, then an assassination of an informer and his handler, before teaching him to shoot. Johnny’s hatred of the British gave him no cause to question until he met the beautiful Cora, who shares his passion for Ireland but not for the methods of the IRA. Although she knows nothing of Johnny’s role in the IRA she senses his anger and impulsiveness: ‘Tell me you’ll do no harm, Johnny.’ Johnny’s answer is equivocal. 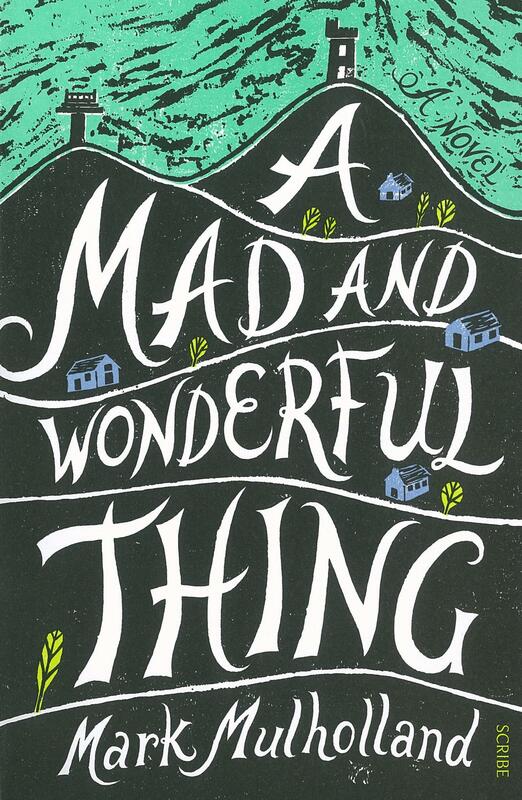 A Mad and Wonderful Thing is an extraordinary book; it confronts political and moral choices with a harsh brutality, but is, as well, a great love story.